Good afternoon dear friends. Apparently, AKK Technology is striving to become the most advanced manufacturer on the FPV field. The speed with which new products appear on the market is startling. The last few months have not been an exception. 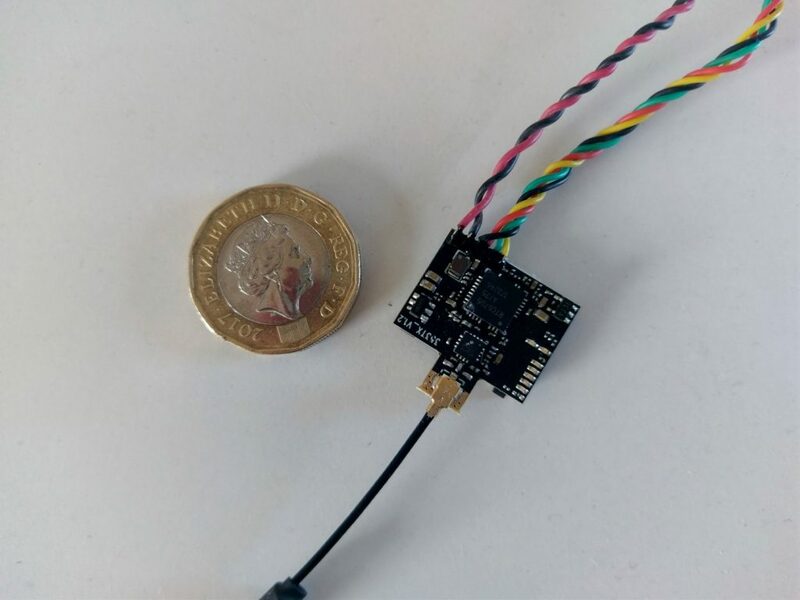 Researchers and developers of this company were able to create several new compact and powerful VTX transmitters, among which are two samples - AKK X2-ultimate and AKK FX2-ultimate. Consider these products in more detail. 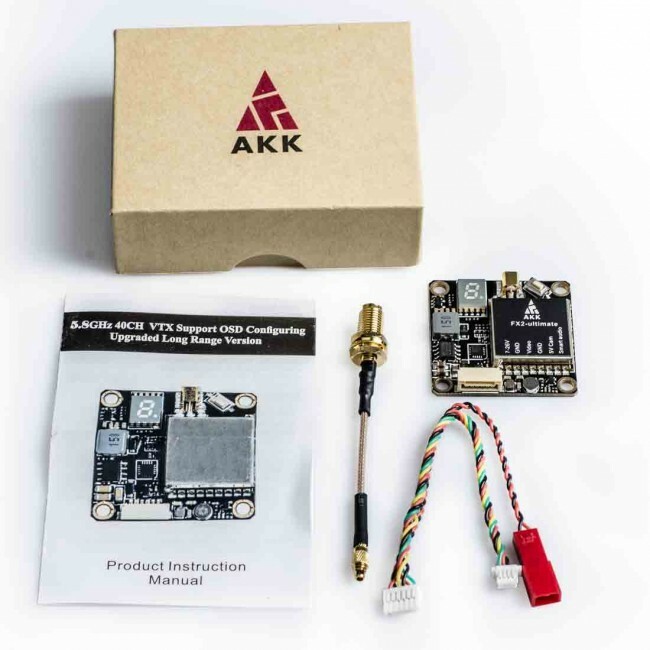 AKK has some neat video transmitters out that are suitable for racing drones as well as airplanes and they feature an OSD and selectable power output. There are two versions available, the X2 and the FX2. The X2 is the traditional format suitable for airplanes and drones. The FX2 has 30.5mm mounting holes for placing it on your stack in a racing drone. Both units feature Smart Audio support, OSD, microphones, a button to set frequency and power output. They have selectable power outputs of 25,200,600 and 1200mW. They can take an input voltage of 7-26V and there is a 5V out for powering your camera. Cost is around $26 and you can select your MMCX connector adapter to be SMA or RP-SMA. 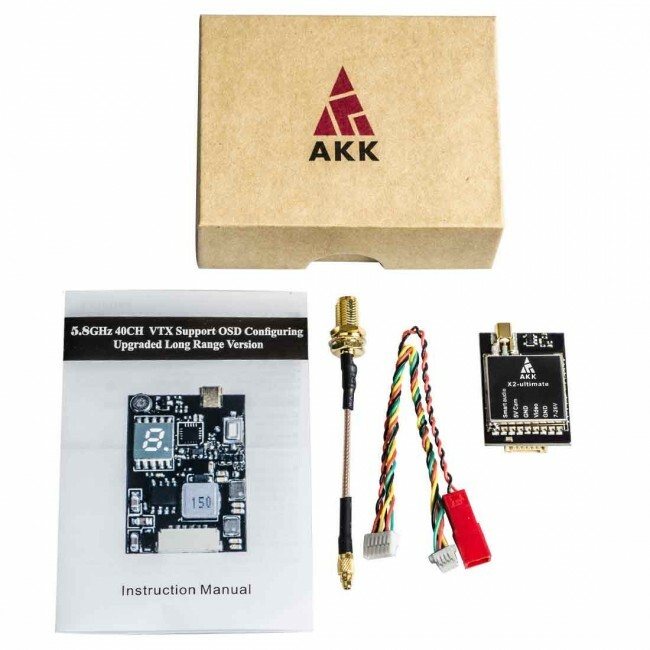 Check out the AKK X2 and FX2 FPV Video Transmitters Here. 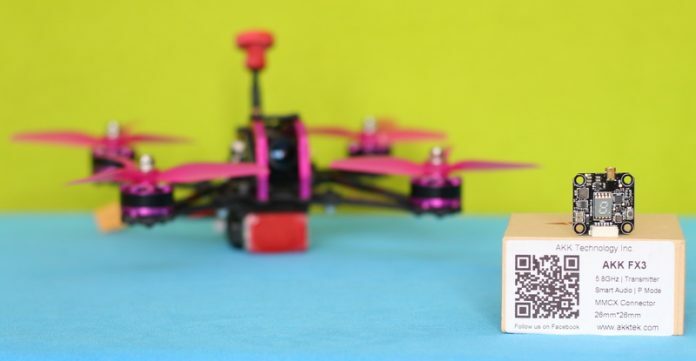 This little VTX has some nice features that might make it the right one for you in your next 20X20 stack build for only $19! I will not yell "Buy Buy Buy VTX from AKK" like one of my reviewer fellow, but I can confirm that FX3 has solid build and excellent range. It is stack-able, the included pigtail allows many installation position of the antenna. l y a quelques temps déjà, AKK nous a envoyé quelques vTx à tester. Aujourd’hui je vais prendre une peu de temps pour vous parler du modèle AKK FX2. Il s’agit d’un émetteur vidéo stackable (au format 30 x 30 mm) que j’ai installé dans mon ImpulseRC Alien 5′ pour remplacer mon bon vieux FX800T. Ce dernier fonctionne encore très bien, mais il émet « moins fort » et n’est surtout pas contrôlable via le contrôleur de vol. 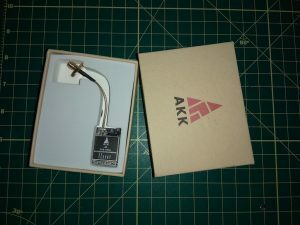 "The AKK X2 is an FPV transmitter that offers good performance and quality at an affordable price. Its built-in LC circuit means video transmission is generally clean with very little signal loss. 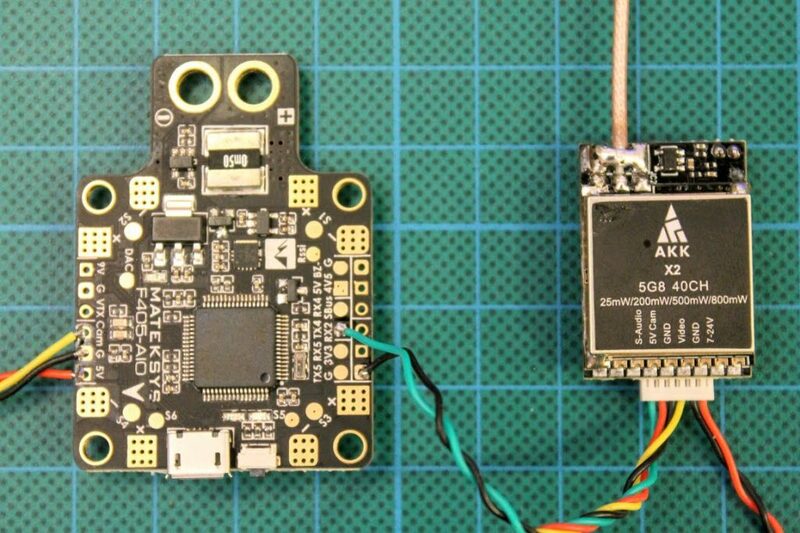 It can also accept OSD outputs from Betaflight flight controllers making for a less cluttered and lighter FPV system with OSD. "